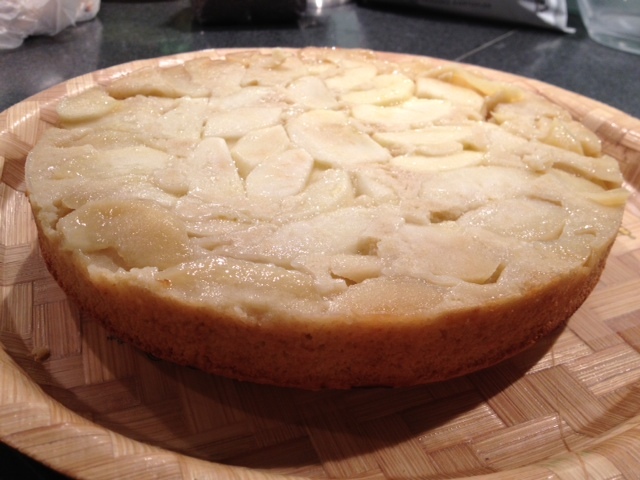 Baking anything with apples, no matter what recipe you follow, always brings happiness to the house. It feels homey, cozy, hyggeligt. 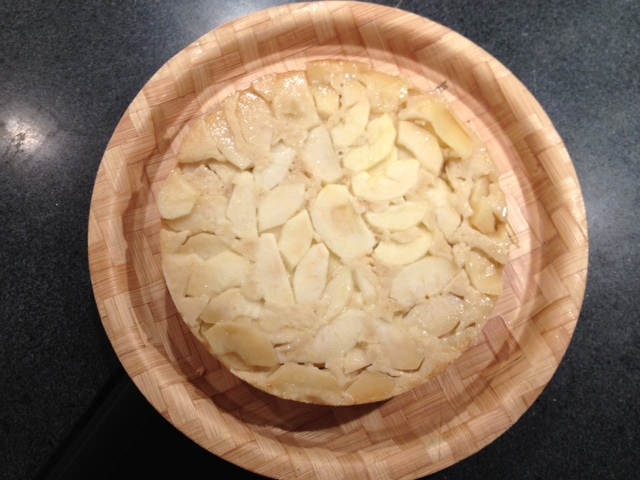 I got this recipe of an Italian upside-down Apple cake from my friend Corrie, and just like her other recipes, the making of it was easy, unfussy, with a great, delicious result. The baking time in my case went up to 50-55 minutes, and i adjusted the temperature from initial 175C to 190C; must be the type of oven that you use. 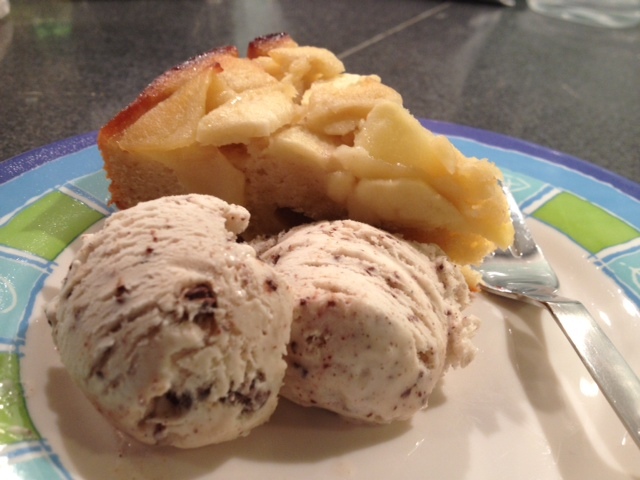 The cake is not too sweet, and best served with creme fraiche or, if you prefer it sweeter, with vanilla ice-cream.